Back in May, I got through to a show on RTE Radio to take part in a quiz. 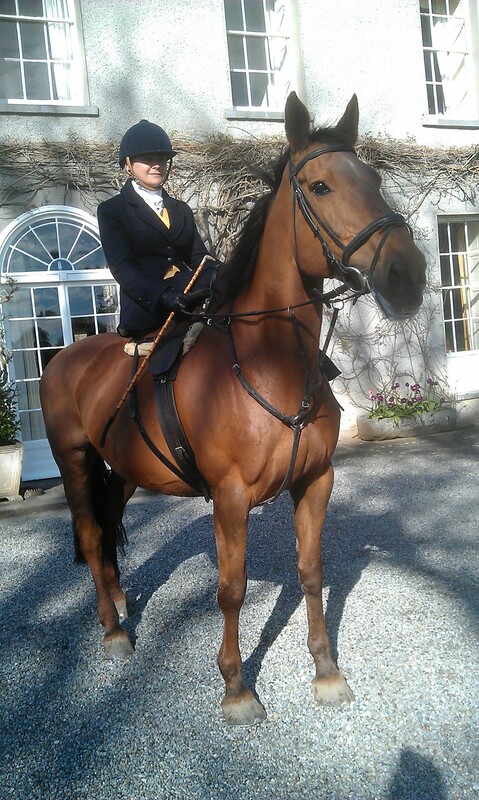 When they asked me what I had gotten up to for the weekend I explained that I had been at a side saddle weekend in Kilkenny. 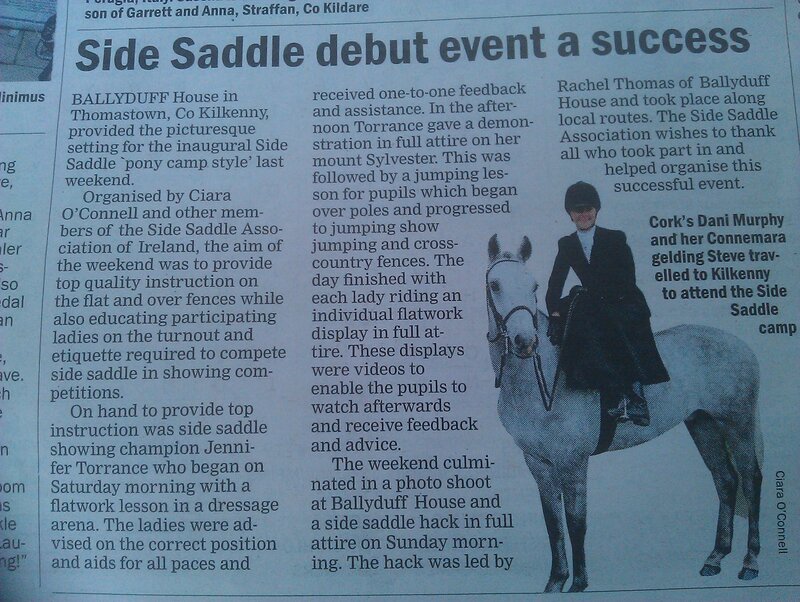 Intrigued, the presenter asked me to explain more about side saddle, so of course off I took off chatting all about it. Listening in that day in RTE was a lady named Martina McGlynn who was in the middle of making a low budget movie in Offaly, set in 1920s Ireland (during the War of Independence). It was called ‘A Nightingale Falling’. She got my contact details and rang me to tell me about the film and to ask whether I would be interested in advising them on a possible side saddle scene in the film! Immediately I offered to bring my own horse Tex (Texas Diamond) and all of my vintage gear. Initially she asked the director to just film a short sequence of one of the actresses riding down the avenue of the house but when the second lead actress in the film heard about it she begged to be allowed to ride side saddle too and the scriptwriter ended up writing a whole scene around it. I asked my friend Hanna in Laois whether she would be interested in supplying her horse Filip (show name Fairflax) and she readily agreed. Another friend of mine, Emily, kindly lent her saddle and habit to be used as well. On the 15th of July we loaded up the two horses and gear into Hanna’s jeep and set off for Daingean. At this stage Charlotte was just six weeks old so Rachel came along to babysit 🙂 We met Tara and Muireann (the actresses) and introduced them to the horses. They were so excited getting dressed in all the gear and bowler hats! They looked absolutely STUNNING. They had to ride up and down the avenue a couple of times to be filmed from different angles. 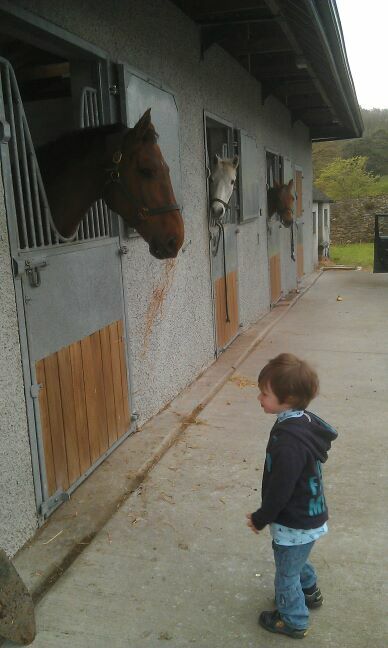 Filip got a bit bored and started pawing the ground and nipping Tex, he is such a show off 🙂 Tara and Muireann were ad libbing all the way through but it turned out absolutely great. Martina is hoping that the film will do the rounds of the film festivals and be shown in Irish cinemas too. Here’s hoping! 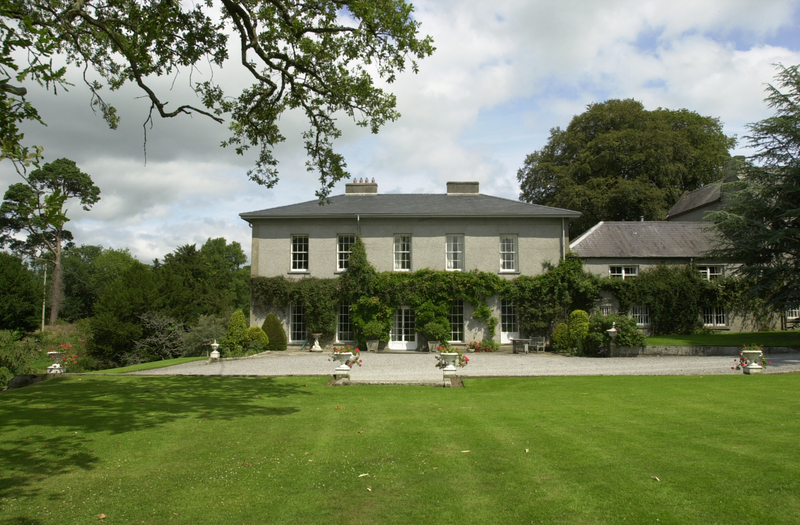 Some of my happiest memories were made at Ballyduff! It is really a remarkable and very special place with hundreds of years of history surrounding you. I am very good friends with Breda’s daughter Rachel and when we were talking about pony camp one day, I came up with the idea of a ‘side saddle pony camp weekend!’ for ALL ages. I asked Breda whether it would be possible to run something like this at Ballyduff and she readily agreed. We had six riders for the weekend – Ann Shouldice, Dani Murphy, Lorna Keogh, Karen Gibney, Rosemary Caplice and Sarah Furney. 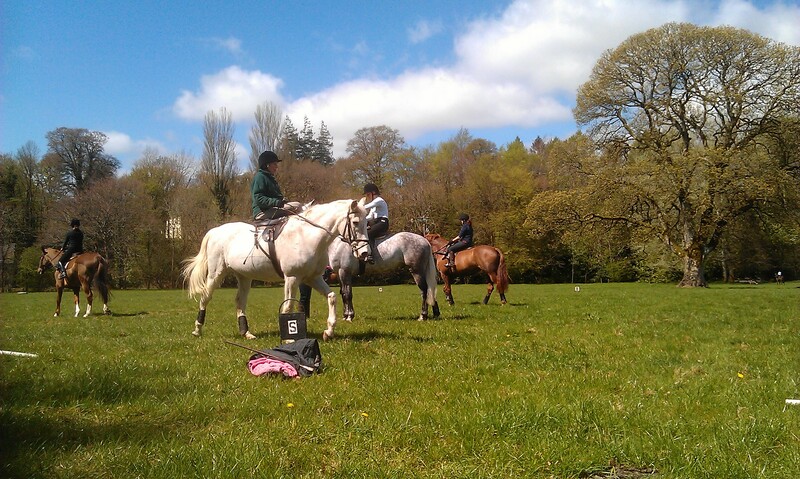 Once the horses had been introduced to their stables, the saddle fitting took place and we were good to go! Rachel was making me slow down a bit as at this stage I was only three weeks away from my due date so she wouldn’t let me do anything! Rachel had been looking after and exercising my horse Tex for me, so one of the riders actually ended up taking Tex for the lessons as she was unable to get her own horse down on time. 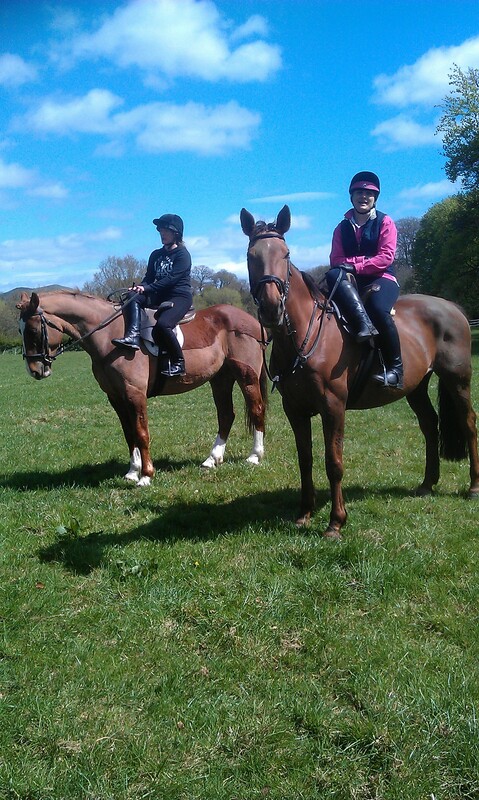 Below is Lorna Keogh on Dolly, and underneath is Rosemary and Karen. Karen is riding my chestnut mare Tex. After a very successful morning of instruction, everyone untacked and went to the walled garden for a picnic lunch, with diluted orange to drink! Jennifer slipped away and changed into her full showing attire and tacked up her horse Sylvester. She gave a complete showing demonstration including how to ride an individual display for the judge, how to mount, dismount, trot up the horse in hand, explained about her attire etc. This was very informative and I think we all gained a lot from it! 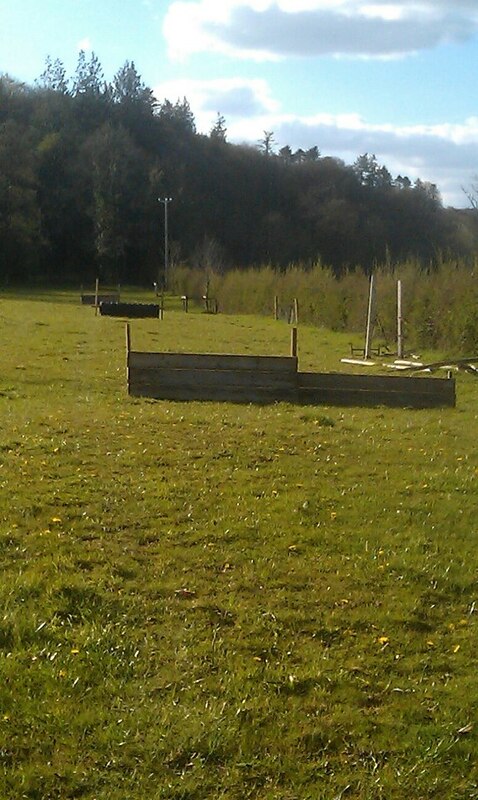 After wards, the jumping lesson took place. Unfortunately, Ann’s horse pulled a shoe and went very lame so she couldn’t take part and ended up going home with Lia, who sadly is now retired after being a very very faithful horse indeed! Lorna nearly gave Jennifer a heart attack by turning a sharp left after her horse decided to take off and jump the trotting poles, it was pretty funny! 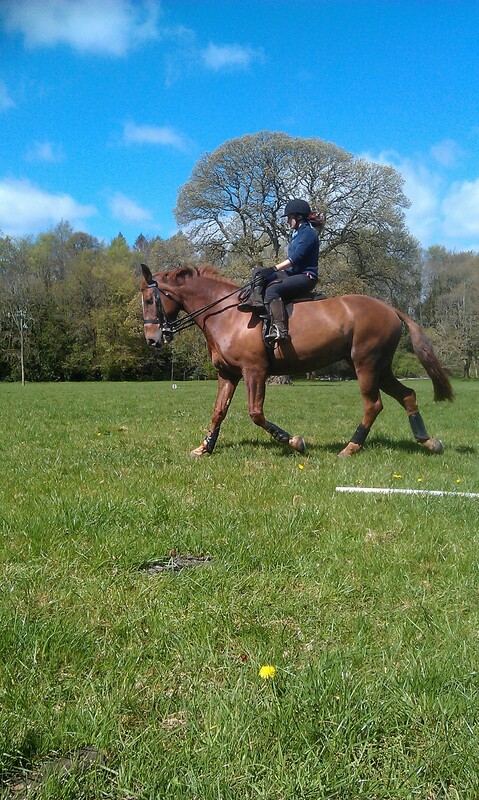 (note it is very difficult to stay on a side saddle if you take an unexpected left turn so don’t try it at home!) Sarah flew around the jumps giving a real exhibition of horse womanship, it was amazing to watch! 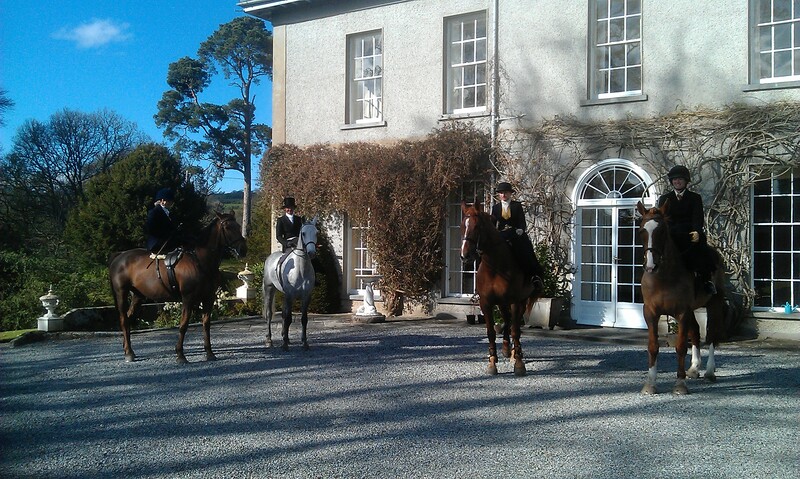 After the jumping, everyone put on their gladrags and posed for photos in front of the house. I was very pleased with how well Tex had gone for Karen , testamount to all the ground work and school that Rachel had been doing on her! That evening, we were supposed to go for dinner in Thomastown but the craic and conversation (not to mention the wine) in Ballyduff was so good that we ended up ordering a chinese takeaway and staying there the night. 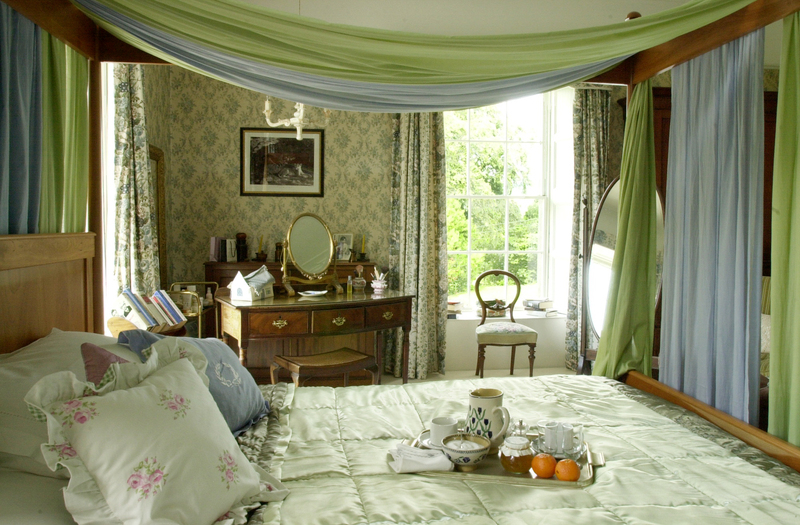 The house was booked up but thankfully Breda had kept a bedroom for me as trying to drag myself around in a heavily pregnant state was not much fun! The next morning, everyone dressed up in their full showing attire to have photos taken in front of the house. (again!) At this stage, Sarah and Karen had both gone home. It was a hugely enjoyable weekend, made even sweeter by the fact that Lorna wrote an article about it which was published in The Irish Field! The three remaining musketeers were joined by Thalia Smithwick O’Brien, one of the Thomas’ neighbours, who was one of my instructors at pony club camp years ago in Ballyduff! 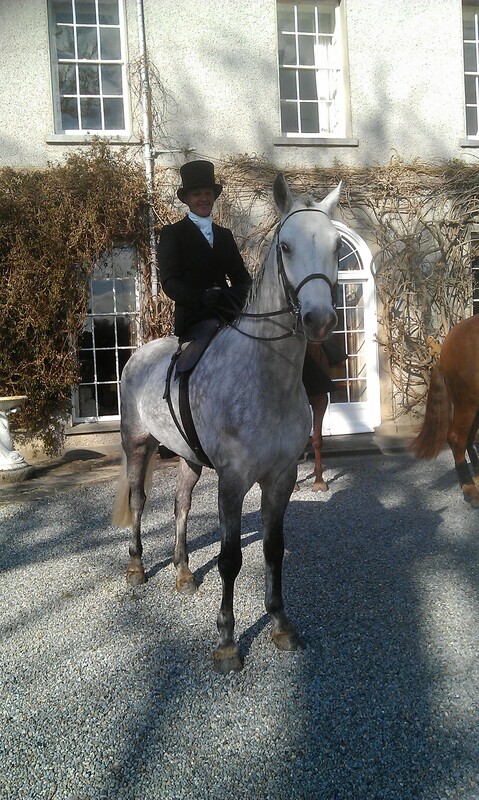 On the 19th January 2013, Ladies from all over the world arrived in Boyerstown, Navan, Co. Meath to hunt side saddle with the Meath Hunt. 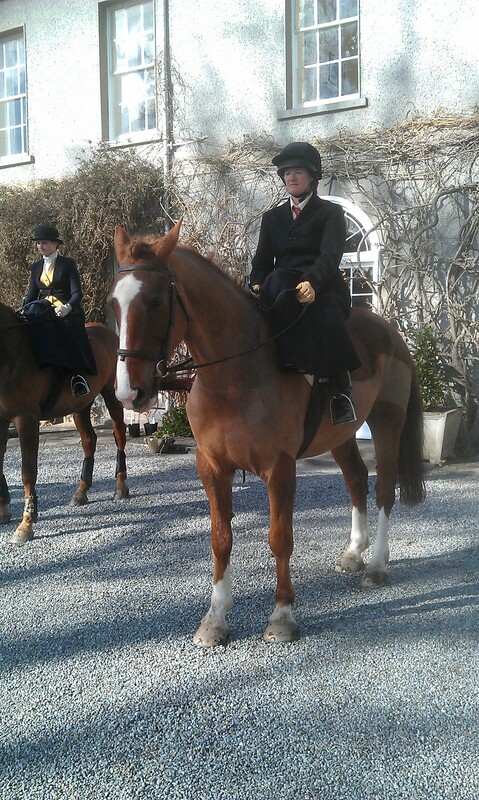 In total 50 brave Ladies crossed the Meath countryside on Irish hunters. In doing so they created a ‘New World Record’ for side saddle hunting. Ladies came from as far afield as Virginia and Kentucky in the USA, France, Italy, Sweden, England, Scotland, Wales, Northern Ireland and Ireland to be part of this historic occasion which commemorated the famous Empress of Austria hunting across Meath side-saddle during the years 1876 to 1882. 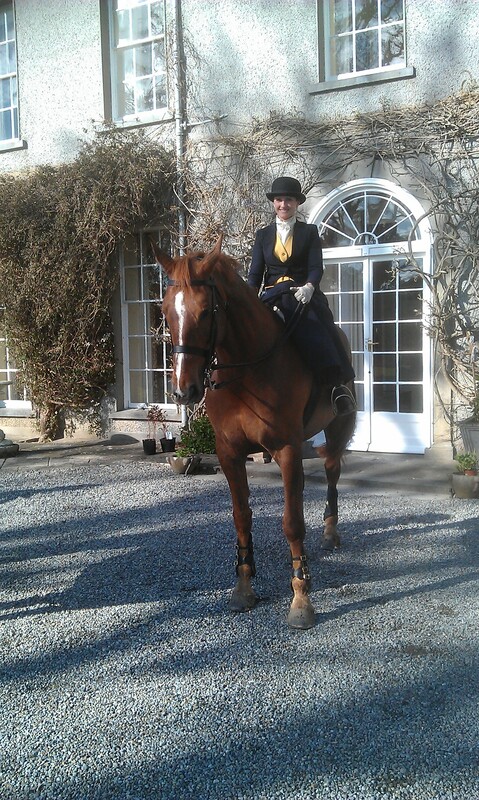 The event was organised by the side saddle high jump World Record Holder Susan Oakes from Navan. 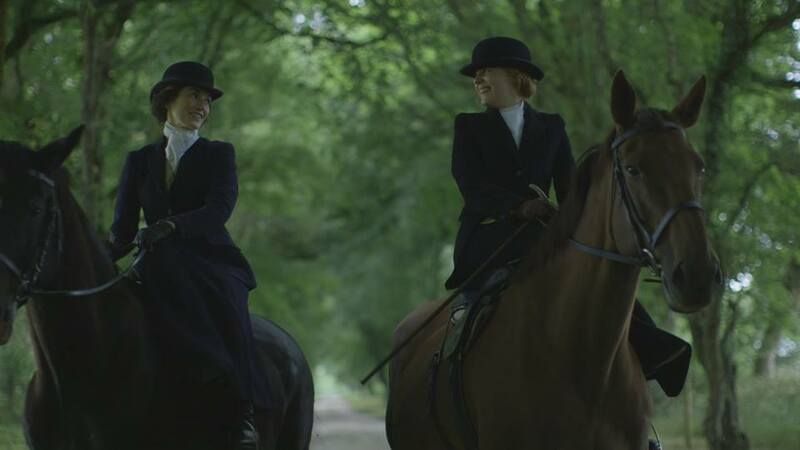 Susan began riding side saddle at the tender age of four and has been the major driving force behind the renewed interest in side saddle riding in Ireland. Fifty ladies turned out on the day dressed immaculately in habits and tack of the 1920s, ready to take on and jump imposing Co Meath ditches, drains, banks and hedges. Luckily Oakes had organised well schooled hunters for all of the ladies visiting from abroad, many of whom were so impressed with the horses they had been supplied with that they enquired about buying them! The day was a huge success, including a very fast run over extremely challenging big double banks and deep, wide, drains, albeit during heavy rain and even a sprinkling of snow. The riders returned home absolutely covered in mud but still looking elegant and grinning from ear to ear at the memories of what they had achieved and ready to dance the night away at the Hunt Ball held in the Knightsbrook Hotel, Trim, later that night. This event could not have taken place without support of local landowners, hunting enthusiasts, horse owners and an array of volunteers who worked tirelessly to ensure the success of this historic event. Special thanks to all the kind sponsors, without who’s generous support this event could not have taken place. 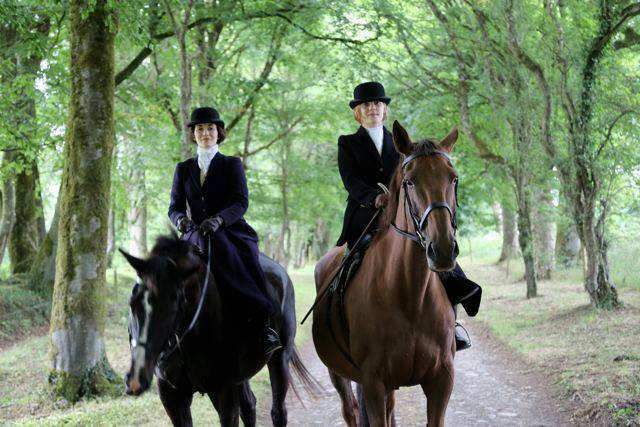 The Side Saddle Association of Ireland met for their bi-annual trail ride at Mount Juliet, Co; Kilkenny on Saturday the 20th of October. It was a tremendous success, the sunmust always shine there because we had a fabulous day again! The first ride consisted of Ann Shouldice, Sarah Furney, Emily Meredith and Annemarie Walsh all on their own horses, then on the hire horses we had Rosemary English, Karen Gibney and her sister Hannah Gibney, Evelyn Glynn, Rachel Lawlor, Maura Mansfield, the little girl Claire (who was FANTASTIC on the hire pony Grey Harry!). The riders who were assembling for the advanced ride very kindly lent their habits and saddles so all of the beginners were suitably attired and looked very smart indeed. Claire started out with her daddy Flor leading her, after about five minutes progressed to Susan leading her alongside her own mount, and then took off on her own. 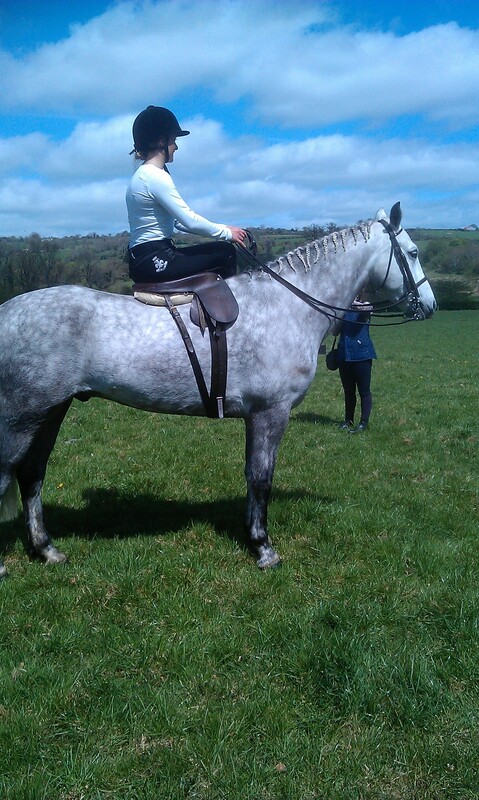 Claire is a rider to watch for the future and is now aiming to be out at the Duhallow children’s meet side saddle! 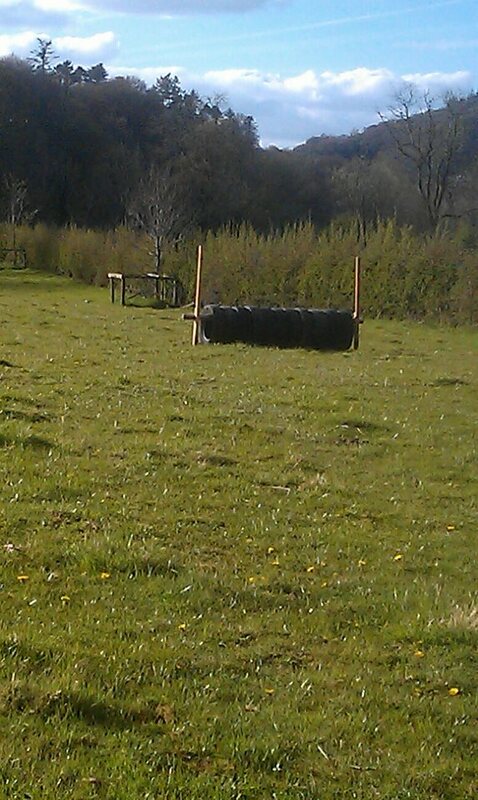 Sarah and Emily jumped most of the cross country course in great style to get ready for the hunting season. It goes without saying that Susan Oakes was the ringleader in the XC and she got nearly all over the beginners going over banks and uprights. The second ride was made up of Ciara O’Connell, Sarah Furney again, Susan Oakes, Rachel Blayney Woods, Esther O’Kane, Iseult O’Cleary, Kalindi Lawrence, Thalia Smithwick O’Brien, Verity O’Mahony and Lynne Hincks. Everyone went in all four gears and also jumped the cross country. A flask of port was passed around and relished by all. We all went home very tired but happy!We would like to say a huge thank you to Jenny and her team from Mount Juliet Equestrian Centre who supplied such wonderful horses and such a fantastic experience for us all, and also to the livery owners from Mount Juliet who made their horses available for the hack too.